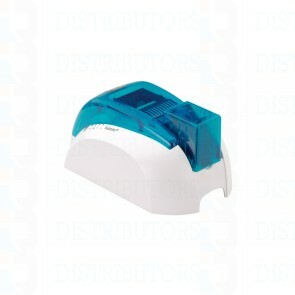 Pebble 4 single-sided card printer is the ideal solution to print your badges on demand or in volume. With its high quality resolution and printing speed, the Pebble 4 card printer matches top-of-the-range performances. Evolis designed the Pebble 4 printer for outstanding graphics and image definition to deliver photo quality cards. As organizations security needs change over time, the Pebble offers several options to enhance connectivity or get multiple encoding options. The Pebbles ultra-fast print speed of 150 cards per hour, high quality print process and its ability to adapt to future security demands, makes the Evolis Pebble ideal for virtually any card personalization application.